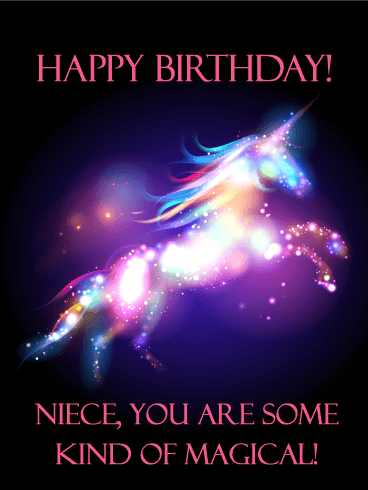 Happy Birthday - It's your birthday, niece, and you look fabulous! Send a box of blooms this birthday! 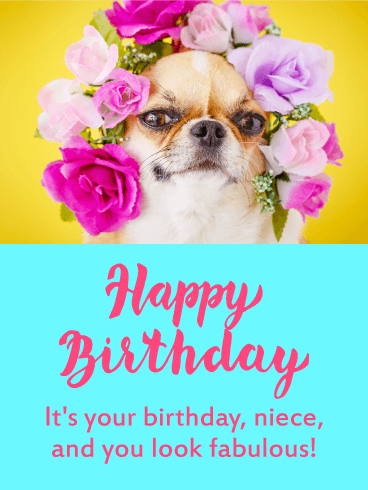 Your niece will love this gorgeous and thoughtful birthday card delivered straight to her inbox. 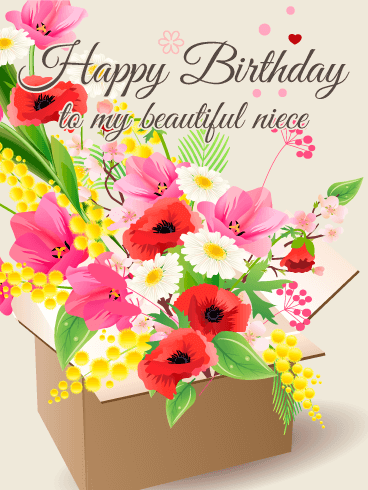 This lovely birthday greeting is full of charm and sweetness for a very special niece. 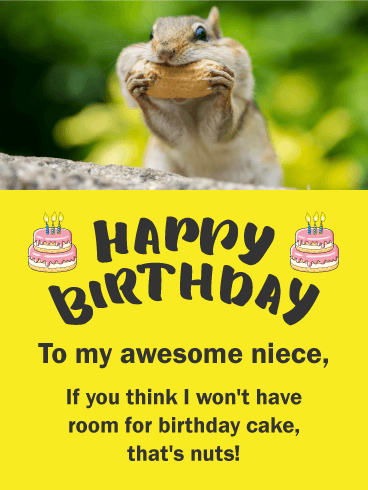 Let your niece know you're thinking of her this birthday and send a birthday card today. Surprise her with a colorful bouquet of fresh, spring flowers-poppies, daisies, and lilies are always a winning combination! Birthday dreams burn bright. 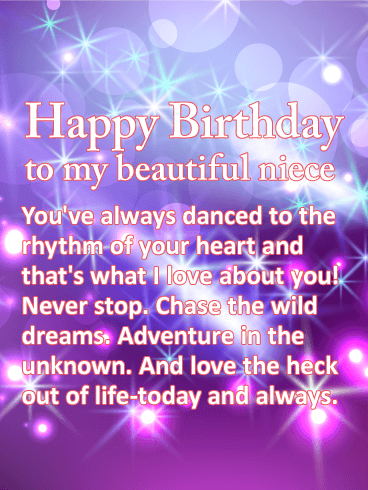 A birthday card for a beautiful niece is a thoughtful way to celebrate her life today. 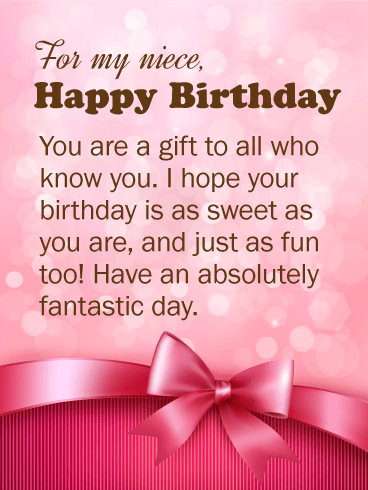 Send a birthday greeting card with a message full of blessings and sweet sentiments for a great day and beautiful year. The fireworks on this birthday card seem almost dream-like-full of magic, inspiration, and matchless beauty. 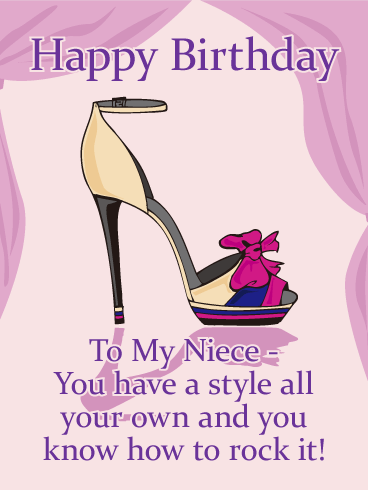 Send your niece this gorgeous birthday card and make her day truly special. We release our dreams on a hope and a prayer. 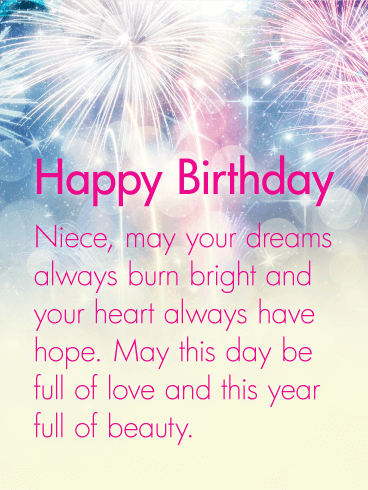 Wish your niece a happy birthday with this pretty birthday card to remind her that all her dreams are beautiful. Lift her spirits and help her dreams soar with this thoughtful and sweet birthday greeting card. Birthday smiles are just a click away! 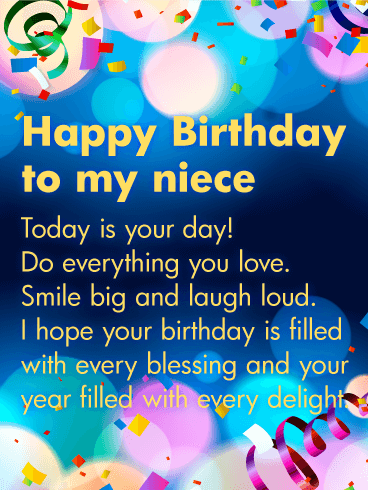 Send a wonderful birthday message to your niece today and make her day. Sugar and spice and everything nice! That's what nieces are made of. 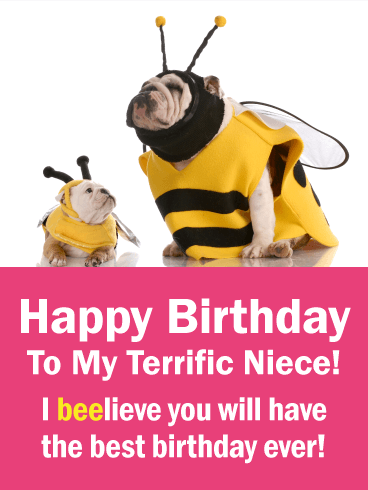 Send a special birthday card to your niece this year. 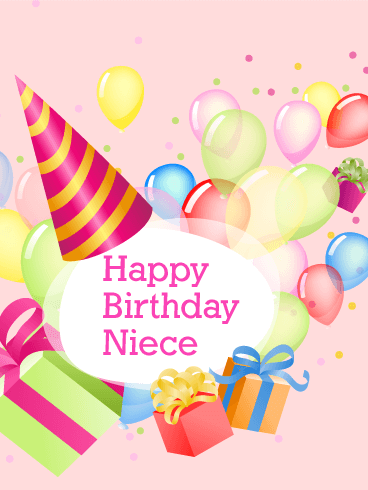 Charm and delight your niece with this pretty, little birthday greeting. 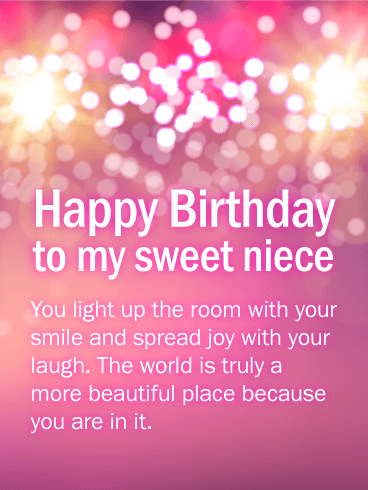 It's a thoughtful and easy way to wish a happy birthday to your sweet niece no matter where you live. 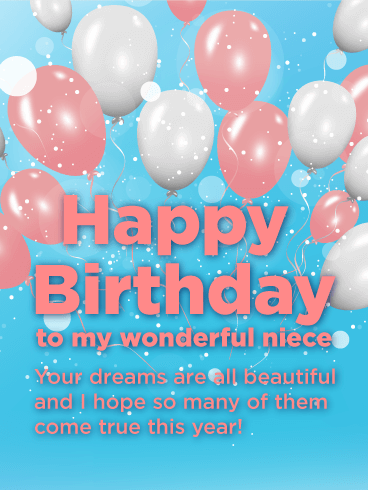 Send a splash of birthday cheer your niece's way with this special birthday greeting card.